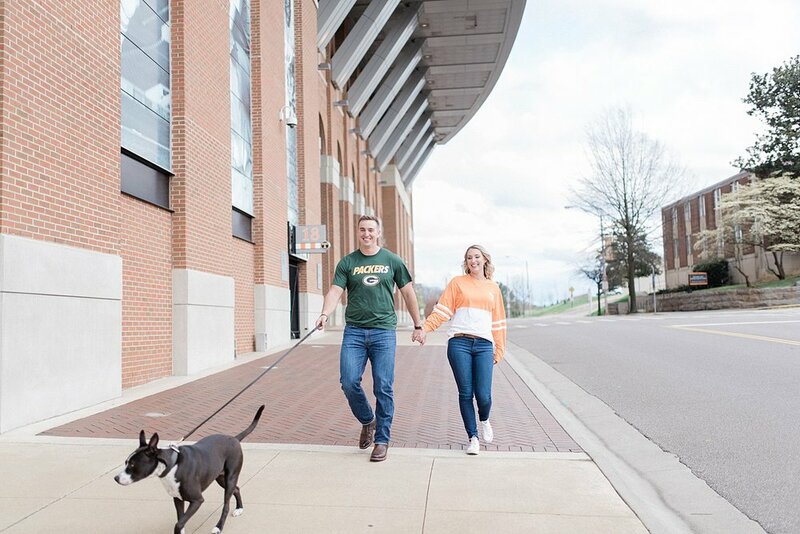 When your dog is named Reggie and you are a huge Packers fan, it only makes sense that you start your engagement at Neyland Stadium by the image of Reggie White, right? 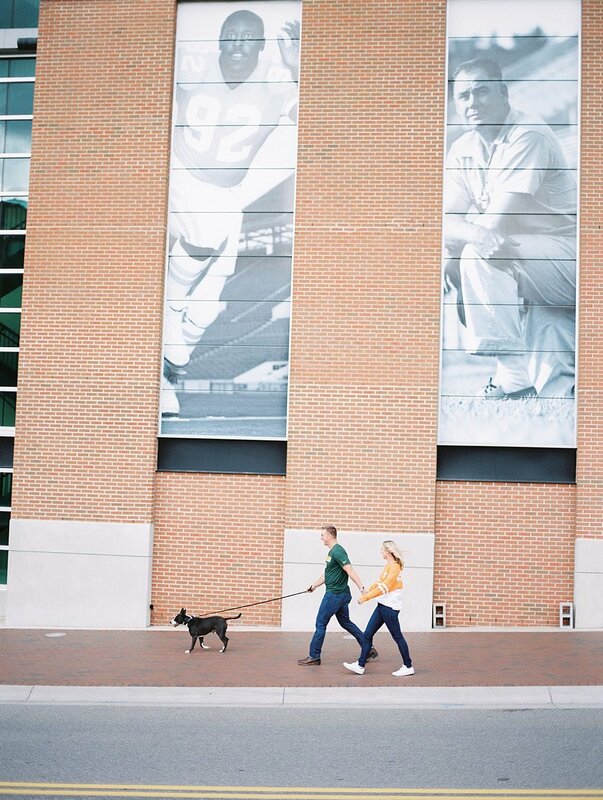 Lizzi and Justin met us on campus to kick off their engagement with some playful shots alongside the stadium and the checkerboard streets. 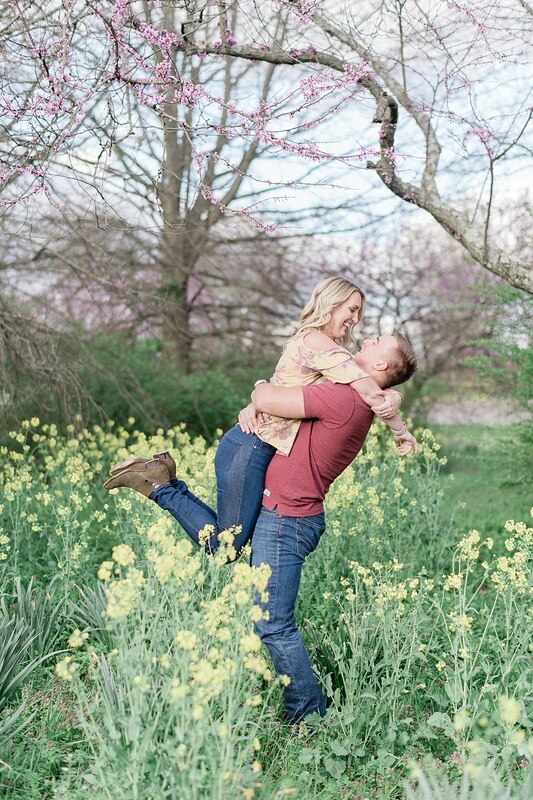 Our next adventure took us to the Hardin Valley area of Knoxville where the couple was lucky enough to catch the red buds and yellow flowers blooming for some gorgeous pops of color against Lizzi's pastel floral shirt. The final stop at Melton Hill Park made for some sweet shots lakeside with the couple, and we all laughed hysterically when Reggie decided to make a chew toy out of their wooden save the date sign from a Jacksonville farmers' market (where the two now live). 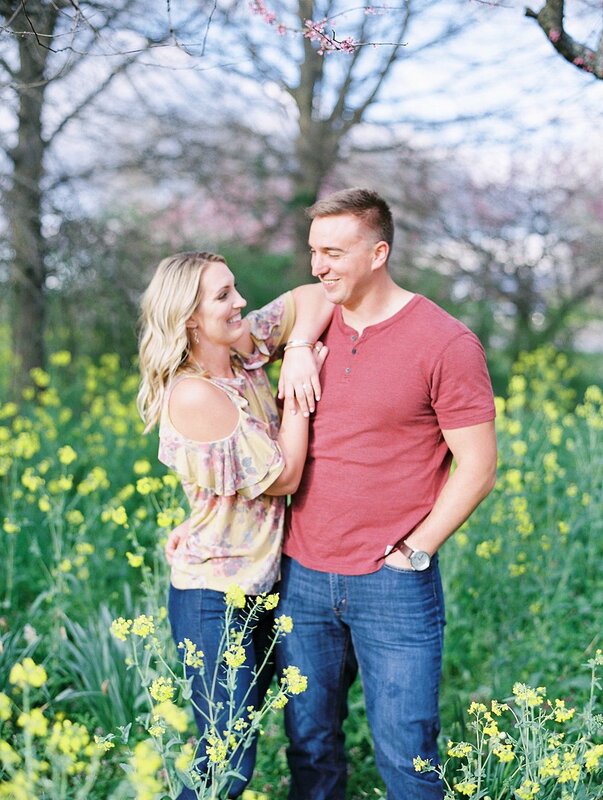 Lizzi and Justin met while playing on a co-ed softball team, and although she initially played hard to get, she clearly eventually came around. 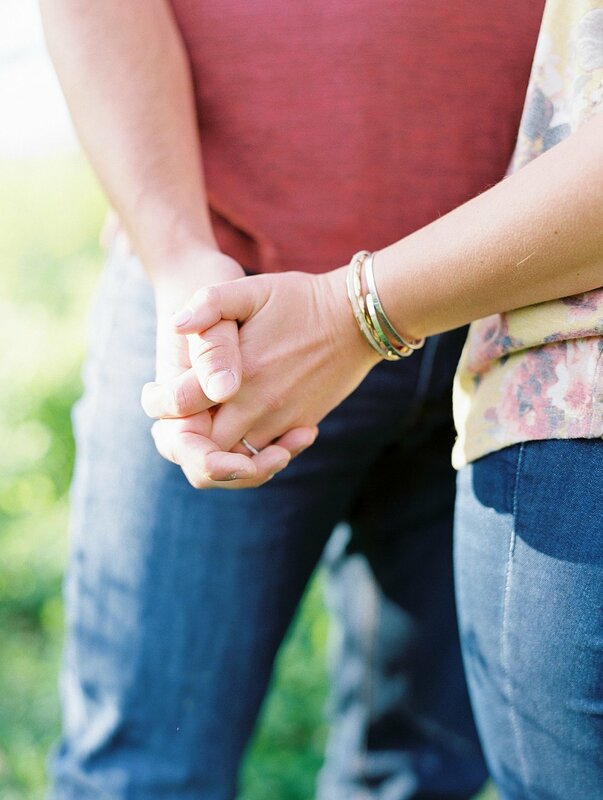 Justin proposed with a super romantic evening in their backyard with celebratory drinks and a nice meal (after Lizzi encouraged him to avoid a cliché proposal). We learned from the first conversation (when Lizzi and Justin were getting ready to head out for a hike) that these two are super fun loving, easygoing, and outdoorsy, but we also learned that we had several connections outside of us shooting their engagement and upcoming fall wedding. Lizzi was actually friends with Jason's sister in middle school, and we attended high school at the same time. Signs it was meant to be? I think so. This casual engagement session was as fun as it looks, and we are counting down the days (which, coincidentally is exactly 100 today) until this couple shares their vows at Riverview Family Farm!